There’s so much to clean and so many methods to do so. But with many cleaning apparatuses popping up in the market nowadays, it’s pretty hard to decide which device does its job in the most effective and efficient way. Merely thinking of purchasing the said objects already seems too cringe-worthy. You got vacuum cleaners and mops for dusty floors, some spray and scrub for grimy sinks, a sinister-looking flat iron to flatten out wrinkles in clothes, and the list goes. Not to mention the inconvenience obviously involved in using and maintaining these appliances, including of course, the costs. 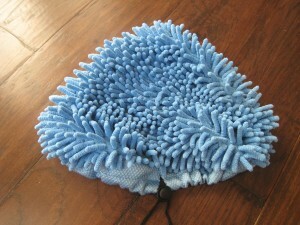 So to answer to the growing necessity of modern-day housekeeping, steam mops came onto the scene. A steam mop is a mop with a water tank attached to it. The water is then transformed into steam, which is released down the mophead. The steam loosens the dirt from the surface so the mop can easily wipe it off. Installing steam into cleaning proves to be a brightly innovative idea, as regular equipment can’t easily wash off hard stains. But we don’t just stop with discovering what has to be a household breakthrough; we now search for the best steam mop, or technically the best steam cleaner out there. So now enters the H20 X5 Mop. This is a steam mop (as the name suggests) designed to erase the grime and muck and filth stuck in your floor. With 1300 Watts of steam and temperature amounting to 230°F, it erases pretty much every bit of dirt it walks over. Not only is the stain erased, it takes with it the odor and the uncomely virus that might be left when an ordinary mop is used. Furthermore, the steam mop wins when it comes to ease of use and convenience, as it isn’t bulky and hefty that it doesn’t get heavier than 5 lbs. When it comes to burdensome work, the X5 mop has also made life easier. No need to kneel down and scrub hard. No need to heave or drag exhausting equipment around the house. There’s no more need to work hard, as this is a very easy-to-use steam mop. But what’s so exceptional about this is that this steam mop isn’t just your ordinary steam mop. It’s a multi-purpose steam cleaner. It is a floor cleaner, a hand held steamer, a window cleaner, a carpet cleaner, and a garment steamer all crammed into one lean and green device that is the H20 X5 cleaner tool. These options are made available through the creative convertible mopheads that are designed to foster to whatever the cleaner needs. Your cleaning pad gets too dirty? No problem. Just detach the Micro-fiber Pads, which are eco-friendly washable pads. Need to steam your clothes? No problem. Just convert from pad to garment/upholstery steamer attachment. Got dirty sink? No problem. Just attach the jet nozzle which can handle even the most difficult stains. With the H20 X5 tool, there’s no problem.